I am always looking for a cat bed for my four legged friend to curl up on that doesn’t scream “Crazy Cat Lady”. 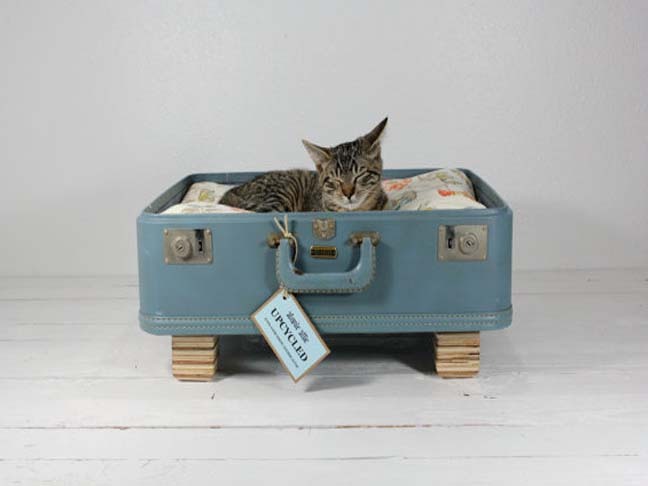 So, this week I’ve rounded up some of the best non-cat bed beds from Etsy for you. I know you love your cat, that’s not in question but let’s face it, there is a connotation to having cats that dog owners don’t have to contend with. There are the balls of string, scratching posts and numerous “napping” areas that are inherent to cat keeping, and these accouterments do not always blend seamlessly with your decor. 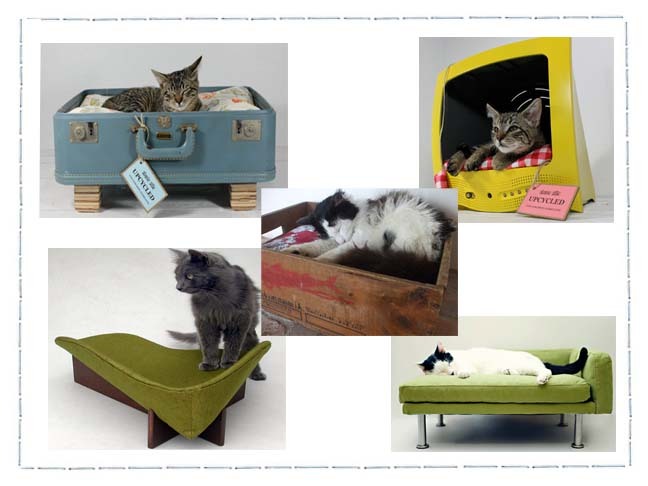 Fear not, I have found the most stylish beds to keep your fluff ball lounging in comfort without tipping your design style over to crazy cat town. Click through below to see our top picks of beds that will blend with your personal style while providing the perfect napping environment. 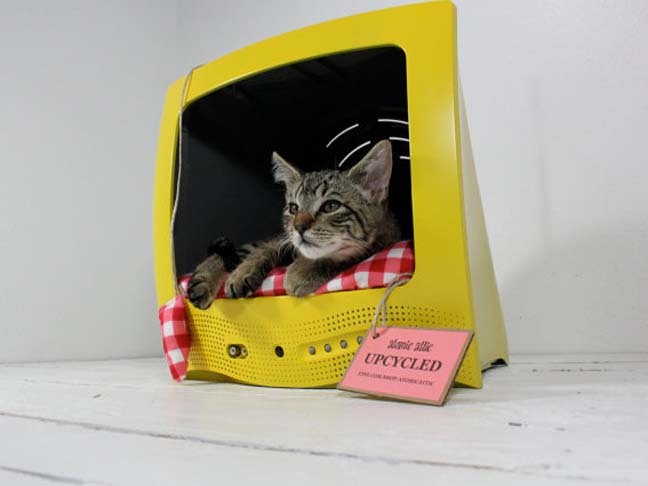 We all need a little whimsy in our lives and Atomic Attic provides that in the form of cat beds created from unexpected objects. I am picturing this Blue Suitcase Bed nestled sweetly in the corner of the bedroom next to a white washed dresser. More of a pop culture junkie? Now you can pay homage to the hours spent in front of the TV watching everything from Magnum PI to Friends with Atomic Attic’s Television Bed. What if your design aesthetic is of the clean and modern type? 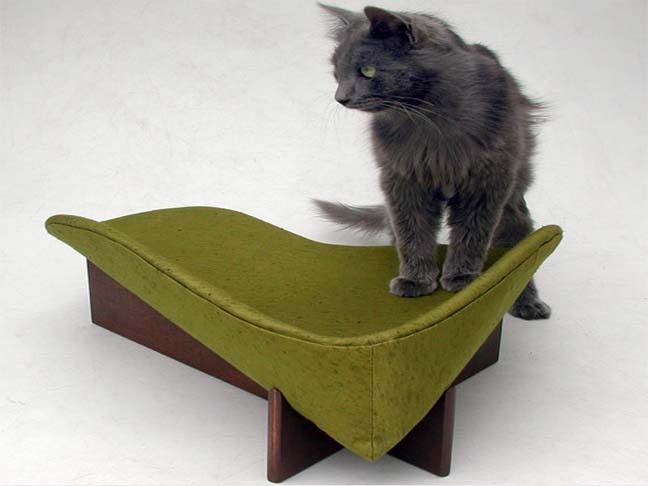 No need to despair, Mod Pet has the perfect Chaise Lounge Chair to pair with your BO Concepts couch. 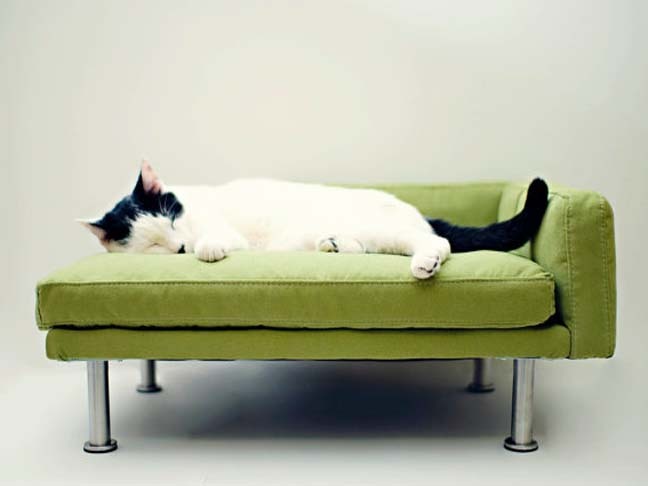 With four colors to choose from this modern feline recliner won’t mar your rooms color palette. More a midcentury modern type of house? 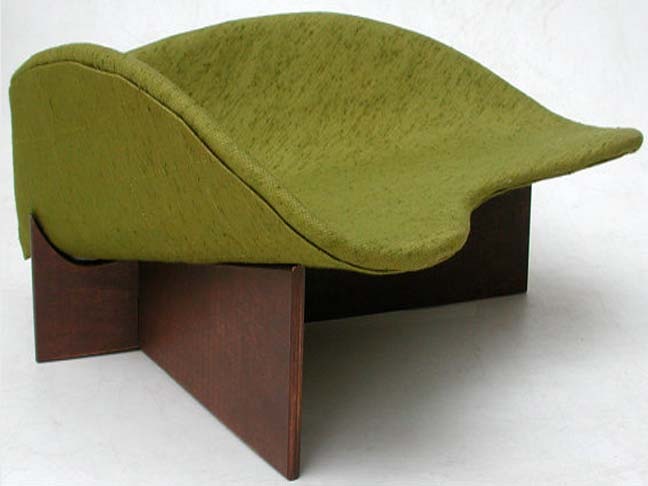 This Retro Mod Bed in Nubby Avocado will fit seamlessly next to your original Eames Chair. Check out LikeKittysVille Etsy shop for other fabric choices. Sometimes I dream I live in the South of France and now so can Mittens. 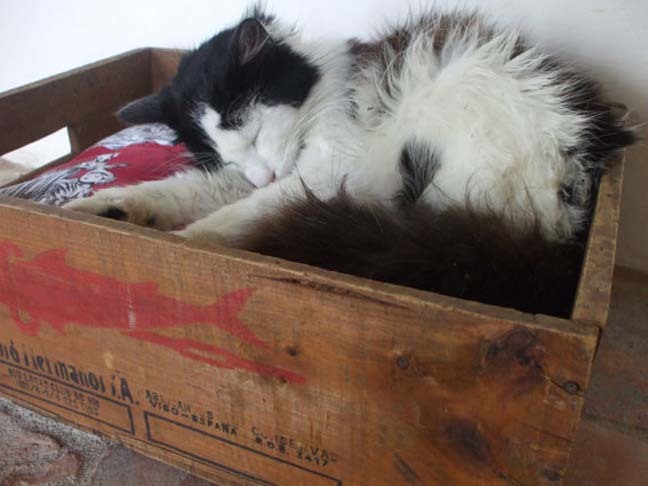 Cadeuxdecatherine sources authentic French crates and turns them into cat beds in disguise. I love the irony of this Authentic Crate Bed stamped with a fish on the side used to deliver sardines in the late 19th or early 20th century.